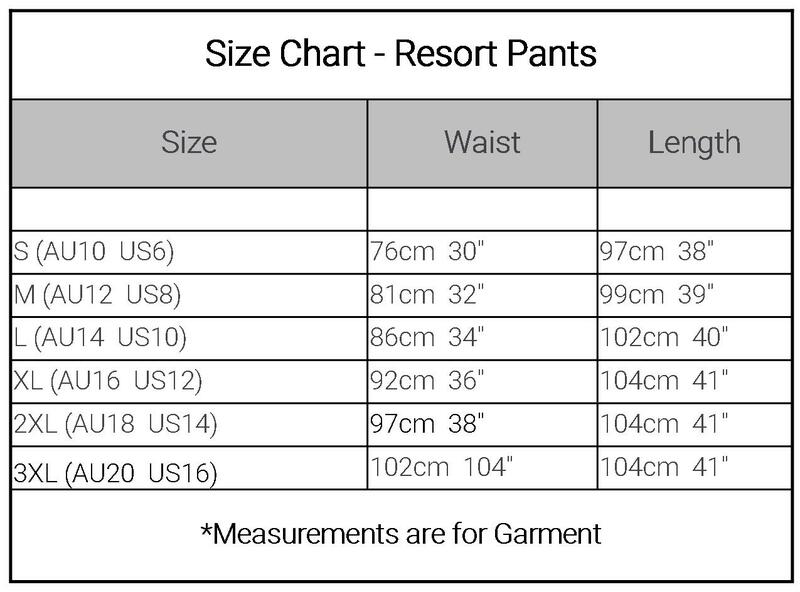 Cool easy fit cotton pants for Summer. Slip on a pair for cool relaxed comfort. Soft broad Elastic waistband with drawstring for adjustable fit and comfort combating the dreaded ”Muffin top”- Sitting just below the waist they are exceptionally comfortable. A great travel piece packing easily, wash and dry overnight. 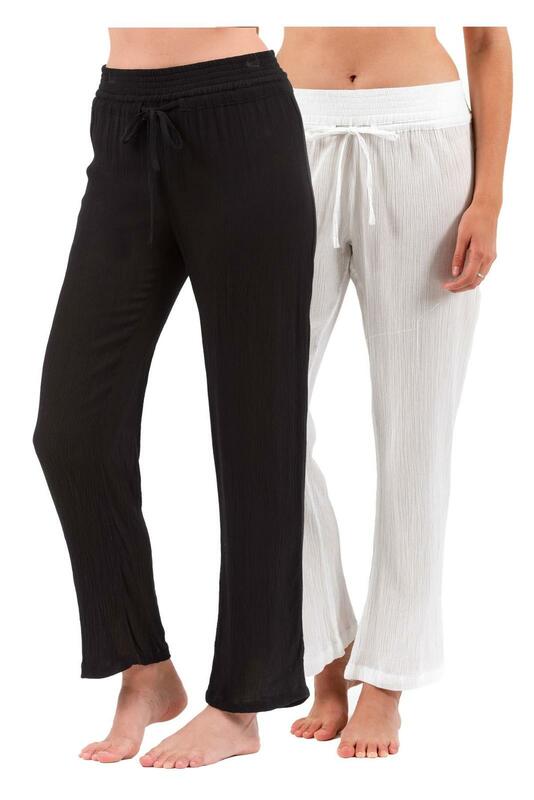 Lovely comfy pants with a soft elastic waist . I wore them all week at Palm Cove!